Going through a divorce can be emotionally gut wrenching. After years of building a life together with your spouse, you now are facing the prospect of going it alone. In addition to this emotional toll, divorce can significantly impact practical matters, including how you raise your children and your own financial security. Having a supportive network of people on your side both during your divorce and after plays an important role in your recovery. The breakup of a marriage is always difficult. According to Psychology Today, it can be the single most stressful event to ever occur in a person’s life, particularly if there are disputes and disagreements which much be resolved in your case. Family members: Family members often do not know how to respond to the news of a divorce, but once they have a chance to process what has happened they can be a valuable form of both emotional and financial support, This may include offering a sympathetic ear, helping you with childcare arrangements, and even offering a loan or a place to live while you get back on your feet. Friends: You may feel awkward dealing with some of the friends you and your spouse shared after your breakup, but you may be surprised how sympathetic they can be. Friends who knew you before you got married can be particularly helpful, reminding you that you have a separate life apart from the marriage. Neighbors: Having a few people in your community you can trust can help you feel more at ease while you get used to living on your own. They can keep an eye on your property and if there are children involved, they may be able to help as you adjust to your new role as a primary caregiver. Your employer: Depending on your work environment, your employer may be able to offer additional hours to help you financially or a flexible schedule while you attend divorce proceedings. A therapist: If you are having trouble adjusting to your divorce and experiencing problems with depression, anger, or anxiety, a therapist can help you work through these issues. 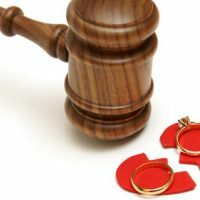 Your divorce attorney: Having a trusted, experienced divorce attorney on your side is vital. They can guide you through the process while protecting your rights under the Florida Statutes, so that you get what you are entitled to in any divorce settlements. Attorney Vanessa L. Prieto provides the legal guidance and professional representation you need when going through a divorce. To find out how we can help you, contact our Fort Lauderdale divorce attorney to request a consultation today.